The Campaign for Judicial Accountability and Reforms (CJAR) issued a statement on Monday extending its support to Justice Chelameswar’s protest over the non-elevation of Justice KM Joseph, Chief Justice of the Uttarakhand High Court, to the Supreme Court. 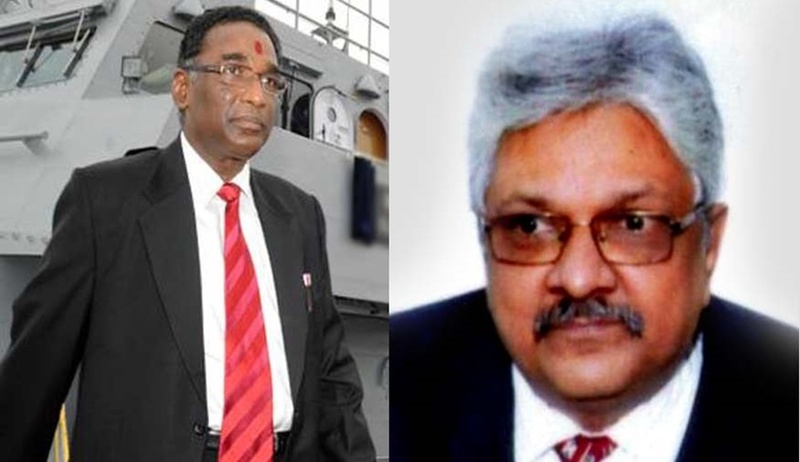 It was widely reported that member of Supreme Court collegium Justice Chelameswar had questioned its decision not to elevate Uttarakhand Chief Justice KM Joseph to the Supreme Court. As per the report, the names of Rajasthan HC CJ Naveen Sinha, Madras HC CJ Sanjay Kishan Kaul, Chhattisgarh HC CJ Dipak Gupta, Kerala HC CJ Mohan M Shantanagouder and Karnataka HC judge Justice S Abdul Nazeer were recommended by the collegium headed by Chief Justice Khehar. The Campaign for Judicial Accountability and Reforms (CJAR) supports Justice Chelameswar’s timely note, criticising the non-elevation of Justice K.M. Joseph, Chief Justice of the Uttrakhand High Court, to the Supreme Court. As a member of the Supreme Court collegium, while Justice Chelameswar has not disagreed with the names of the five other judges that have been proposed for elevation to the Supreme Court, his criticism that Justice Joseph has been sidelined, is right and justified. We regard Justice K.M. Jospeh to have had an outstanding record as an independent Judge of high integrity and holding secular views. His being sidelined is surprising since his name for elevation to the Supreme Court, was even recommended by the previous collegium headed by Justice T.S. Thakur. It is apparent that this decision of Justice K.M. Joseph’s non elevation has been influenced by pressure from the government, especially in light of Justice Joseph’s bold decision striking down the imposition of President’s rule by the Centre in the state of Uttrakhand last year. The full text of Justice Chelameswar’s dissenting note to the Collegium should also be put in public domain. People’s perception of a just and fair judiciary has to be respected and maintained, since ‘we, the people’, are the final beneficiaries of this legal system. We reiterate that transparency in the working of public functionaries, both the judiciary and the government, is critical in a democracy. It is thus ironic that there has been complete opacity from both these institutions where disclosing a draft of the memorandum of procedure for appointments to the High Court and Supreme Court is concerned. This process has been shrouded in secrecy, excluding public participation in this crucial process. There have only been leaked media reports and speculations on certain contentious clauses in the memorandum that have been going back and forth between the government and the judiciary. Repeated requests from the Campaign for a draft of the memorandum to be shared as well as a Campaign draft memorandum sent to the government and the judiciary have received no response. The memorandum is now being finalised by the Judiciary. CJAR urges the Chief Justice of India, in the interests of transparency in judicial appointments, that civil society participation in drafting this important procedure for appointments to the highest court be considered, and a draft of the memorandum of procedure be made available in the public domain. This secrecy in drawing up the Memorandum of Procedure for appointments to the High Court and the Supreme Court is completely unwarranted.